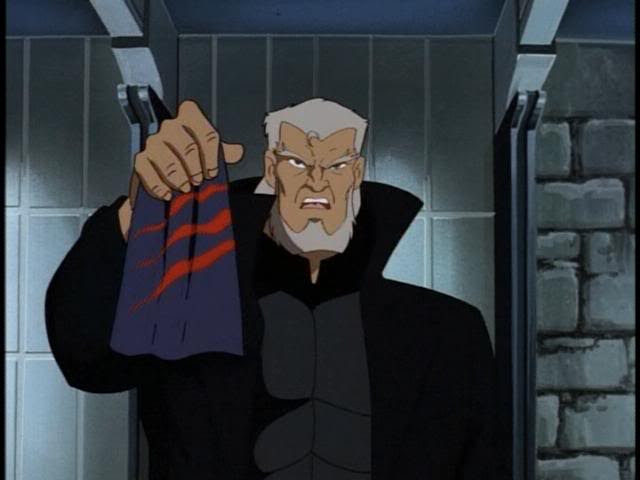 Macbeth appears as a character in the Disney TV series Gargoyles, voiced by John Rhys-Davies (Lord of the Rings, Raiders of the Lost Ark). Though initially introduced as an antagonist to the Gargoyles, Macbeth is eventually revealed to be honorable—a sympathetic character with a tortured past. Throughout the show, primarily in the second season, Macbeth’s history is revealed. After Duncan succeeds to the throne, he pretends to rely on his cousin Macbeth while remaining inwardly distrustful. Then on a hike into the highlands with their two sons, Macbeth proves his fealty by saving Duncan’s life. Just as Duncan’s fears are put at ease, the Weird Sisters appear, greeting each of the two men with the same words: “Hail, King of Scotland and father of the king hereafter.” In spite of Macbeth’s assurances to the contrary, Duncan declares his belief that Macbeth is conspiring for the throne. Suspecting Macbeth’s ally Demona and her fellow gargoyles to be involved in the plot against him, Duncan in the guise of the Hunter, villainously shatters as many of them as he can while they’re turned to stone in the daylight hours. Macbeth, warned of the treachery, arrives too late, only to find Demona grieving over her murdered comrades. Amid that scene, the Weird Sisters appear once again, tempting the two with an offer to give them what they most desire. Demona demands recompense for Macbeth’s part in her tragedy, and says she has grown too old to fight as she once did. Macbeth agrees to give her his youth if she will help him bring Duncan to justice. The Weird Sisters then bind the human and gargoyle together in a magical pact, in which Macbeth trades his youth for Demon’s old age, unaware of the curse’s full implications. With Demona’s help, the now aged Macbeth kills Duncan and claims the throne of Scotland, which he retains for seventeen years. Troubles arise when Duncan’s son, Malcolm Canmore, threatens war, accusing Macbeth of sorcery in connection with the gargoyles. Demona, even after their long alliance, suspects treachery and abandons Macbeth just as the army arrives. The invaders easily sack Castle Moray, and Macbeth flees with his family after Demona. Macbeth catches up to her just as Malcolm Canmore catches up to him. As Demona and Macbeth sort out their differences, Malcolm Canmore, now in the guise of the Hunter, stabs Macbeth in the back, and both he and Demona fall to the ground dead. The soldiers, having witnessed the scene, declare Macbeth’s son Luach to be king, and the battle rages on. As Lady Macbeth grieves alone over her fallen husband, the Weird Sisters appear and reveal the true nature of the curse: neither Macbeth nor Demona can truly die except at the hand of the other, which will end both their lives. With that, the accursed are restored to life. 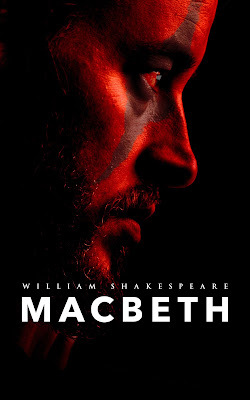 In shock of the sorcery she has just witnessed, Lady Macbeth convinces her husband to disappear into exile rather than bring the knowledge of such a demonic curse to the public light. This, she says, he must do for the sake of their son. Macbeth departs in sadness, dead to all he has ever known, left to wander the earth alone. He appears again nearly a thousand years later, in 1994.